At Springfield Housing Authority, Housing First participants are finding new ways to guide children young and old. 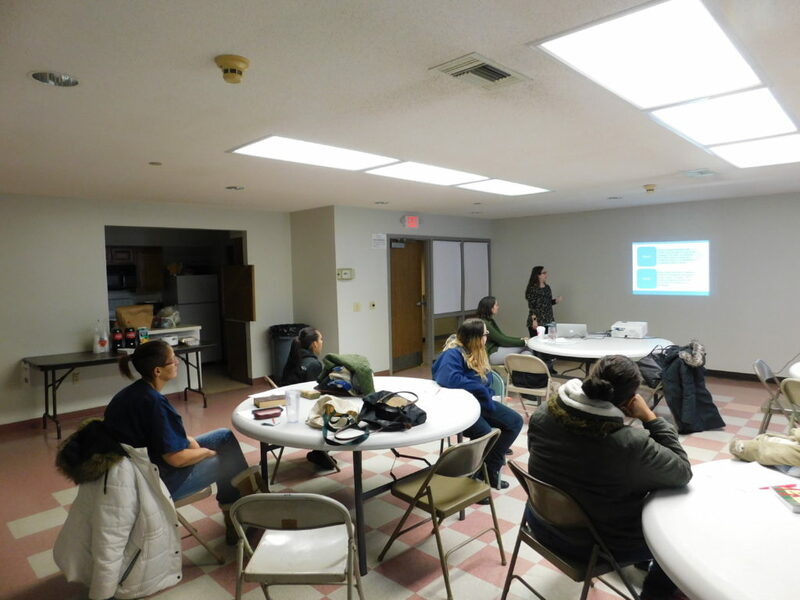 Recently living in shelter but finding new housing security in a state-funded program, they are also gaining financial literacy skills, in a series of workshops running jointly by SHA and the Springfield School Department’s Parent Academy. The weekly workshops began in November and will run through January at SHA’s Morris Apartments. There, the formerly homeless mothers and fathers are gaining more than decent housing – they are learning life skills aimed at keeping themselves and their children safe and sound, and for the long haul. Housing First is a state Department of Housing and Community Development program that helps homeless families find safe and suitable housing, and then follows up with a year or more of support to keep them stable and self-sufficient. The SHA has an annual grant for a program that helps up to 35 families transitioning from homelessness to housing. At SHA’s Morris Apartments, parents learn to set expectations and reward positive behavior at home. The workshops underway at Morris are a part of that follow-up support, according to SHA Resident Services Director Pamela Wells. For parents like Juanita Chipana, the sessions have proven valuable in sharing tips that help keep her four children happy, orderly and manageable – most of the time, that is. One example: At a recent parenting workshop entitled ‘Structuring Home,’ instructors from the University of Massachusetts noted that many children tend to think in visual terms. Offering visual cues for various situations at home can serve as powerful reminders to children on matters such as brushing your teeth before bedtime, completing homework before playtime, and the like. Mother of four Juanita Chipana learned techniques that have helped the atmosphere in her home. Chipana did exactly that, taping colorful drawings in key spots in her home to positively reinforce rules and expectations. 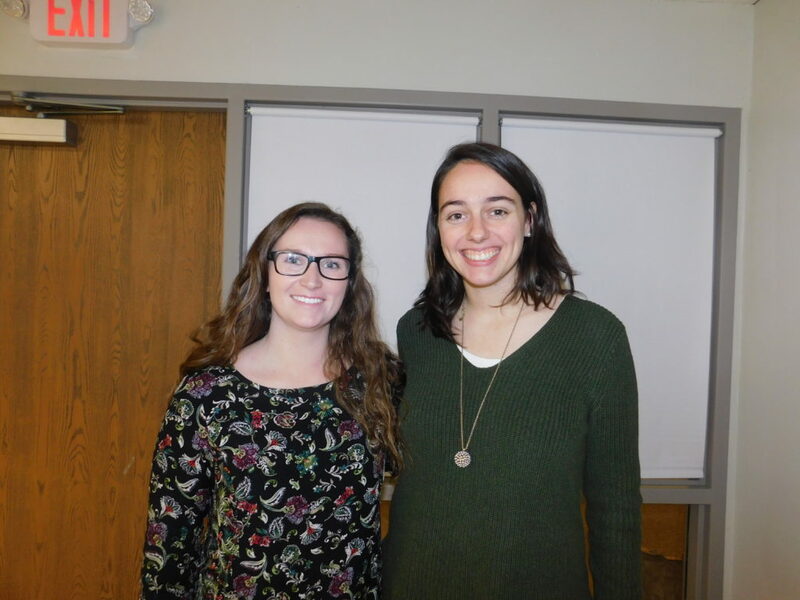 Instructors Emily Zehngut and Ashley Thoma presented two workshops at Morgan, the second one entitled ‘Your Child’s Difficult Behavior’ where more tips were offered. Zehngut and Thoma are doctoral students in the Psychology Department working under the guidance of Prof. Sarah Fefer, in conjunction with the Springfield Parent Academy. Zehngut and Thoma said their shared goal is to enhance positive reinforcement and help parents learn skills to maintain happy households that in turn will ultimately produce productive and accomplished adults. 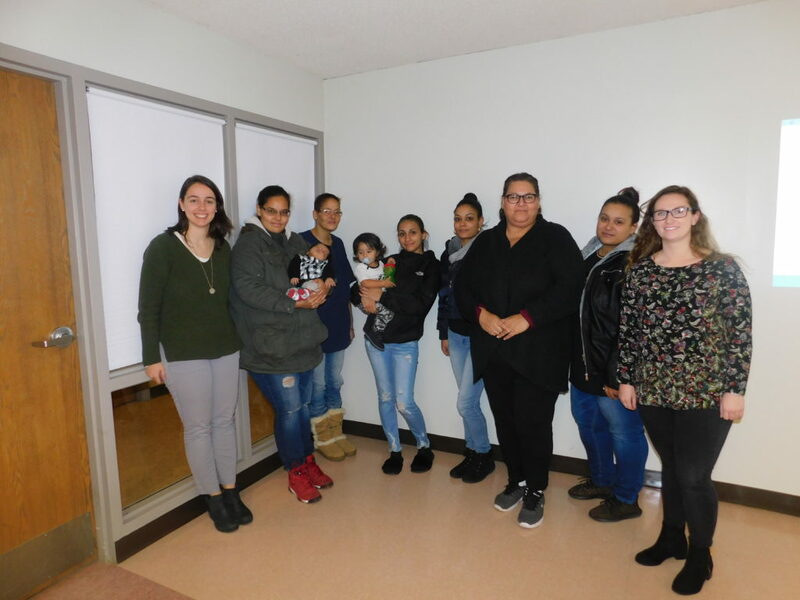 Ashley Thoma and Emily Zehngut, doctoral students in the University of Massachusetts psychology program, led two of the parenting workshops at Morris Apartments. “Our first workshop helps parents think about physically setting up their homes to be child friendly, and managing schedules so that everyone is on a good routine,” Zehngut said. “The second one gives them concrete tips to encourage good behavior and to manage bad behavior. Hopefully, this will help parents with everyday things that can make a difference in their homes,” she said. Indeed, Zehngut and Thoma peppered their presentation with suggestions to keep things positive, to give their children praise when they see good behavior happening, and to clearly explain and encourage that behavior whenever possible. Avoiding situations that lead to negative behavior is also a good idea, though not always possible, she noted. 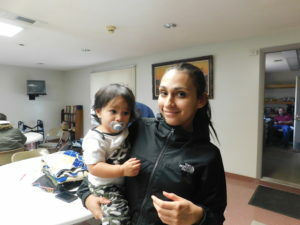 Yanete Rivera said the workshops helped her with her two young sons. Another trick: Use natural endings, such as a television show, to mark the beginning of a new activity, such as homework, dinner, or bedtime. SHA Housing First Case Manager Grisel Lebron said the workshops are designed to help parents with concrete things they can do to stay independent and to grow healthy families. The parenting workshops and the financial literacy classes combine to do just that. 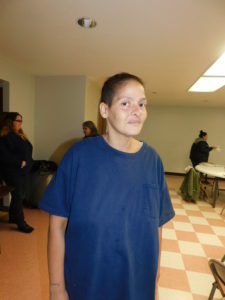 Parents like Yanete Rivera, a resident of Duggan Park Apartments and the mother of two young boys, said she got many tips that have made her home a more orderly place.